Check out the Food, Toys, Beds and More at Pet Smart . 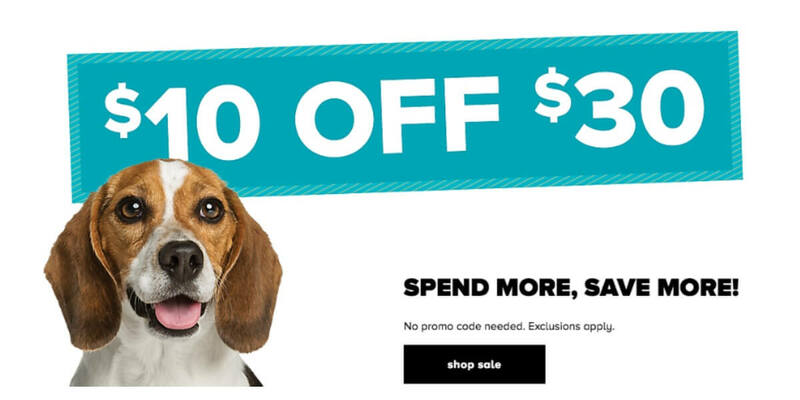 Take $10 Off $30 Online Only. No code necessary. Free Shipping $49+ or free store pick up. Checkout the Blue Health bars. They are on clearance plus buy 1 get 1 50% + $10 off $30!